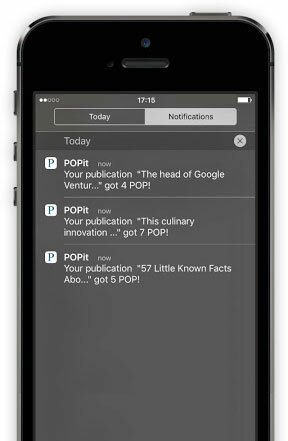 POPit is a funny way to stay aware of what your closest contacts recommend reading/watching and to add must-read articles or relevant videos for your contacts. 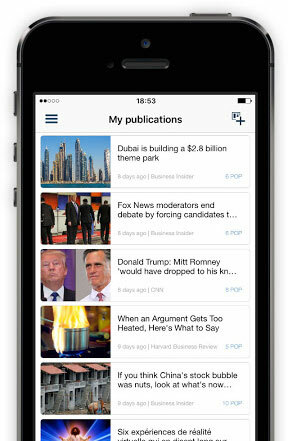 - POPit selects and presents articles exclusively from your contacts on your iphone that are relevant to you. - By swiping right, you POP the content. 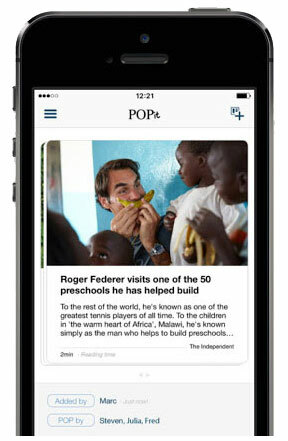 The interesting content is then relayed to your contacts on POPit. You also have the possibility to read later your POP if you didn't have the time to do so. Be careful if you didn't go through because the content will automatically be removed after seven days! 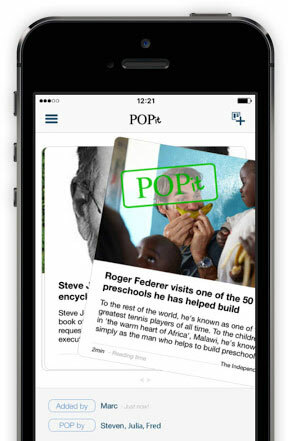 - If the content is not worth spreading to your contacts on POPit, you can simply swipe left. 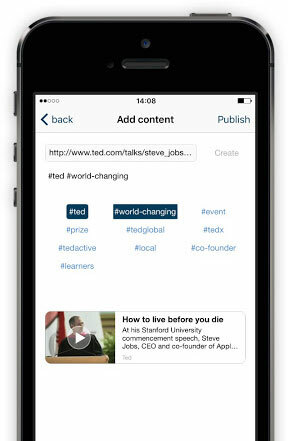 - Add articles and/or videos easily from your favorite apps or by simply pasting the link (URL) of the content you want to publish. 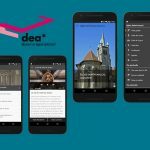 - Spot who was interested by your content among your contacts and see the success of your articles with the number of POP each of your publication generated. - Your history is not accessible by your contacts.